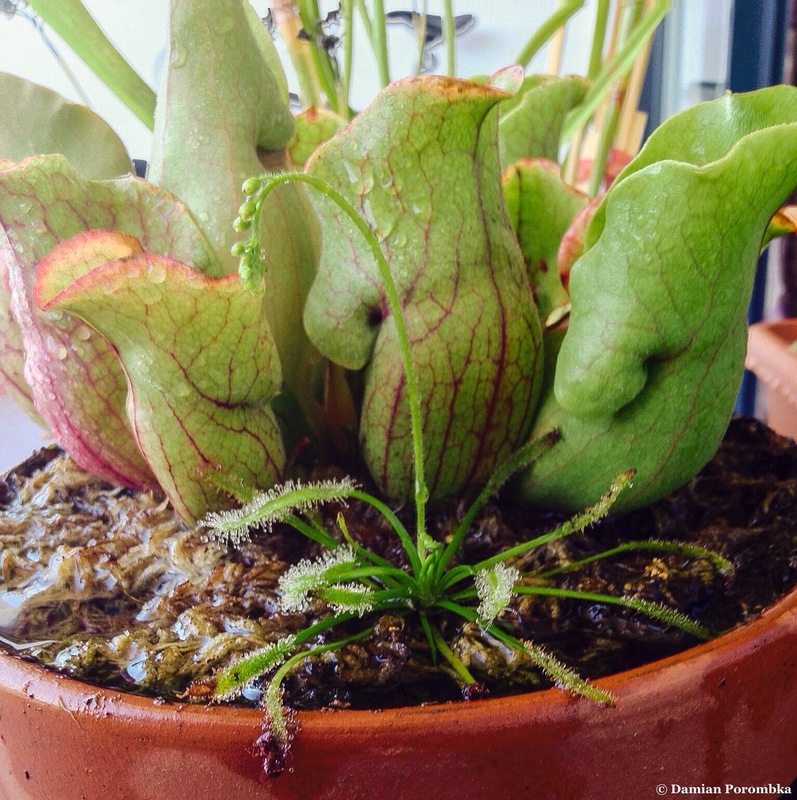 This morning I took some more pictures (with my iPhone) of my carnivorous plants. 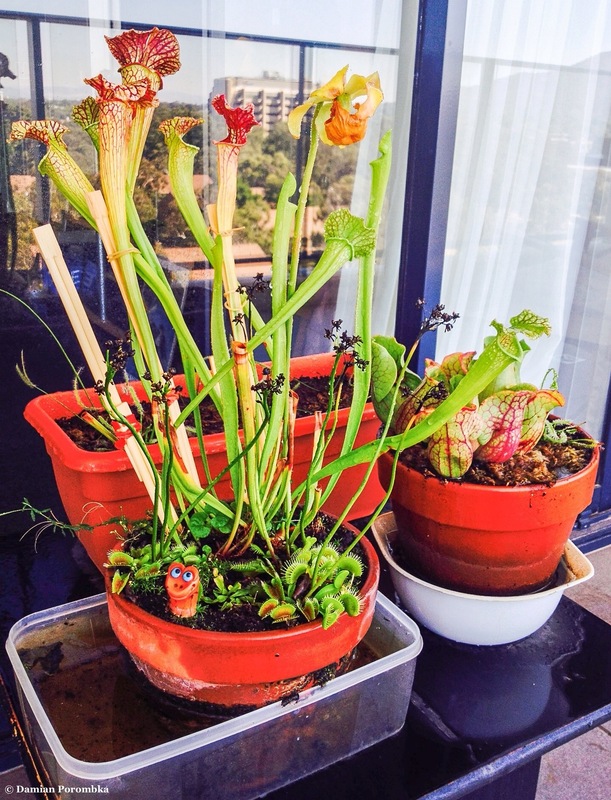 They require a bit of care, but I’m so pleased with how well they’re growing! 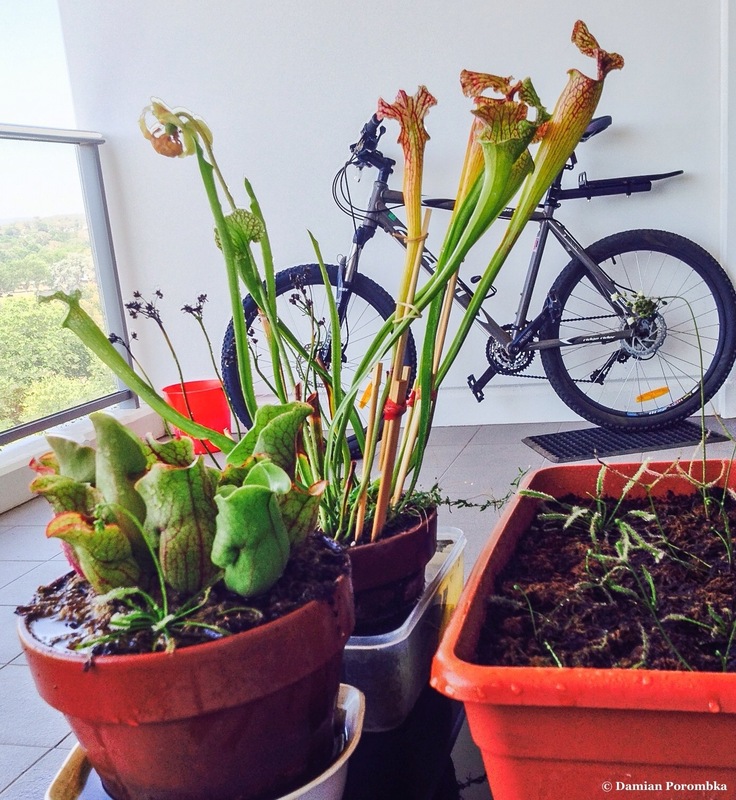 I’ve had to move them out of the 38 degree sun, but they seem to be very happy in their new spot on the balcony. 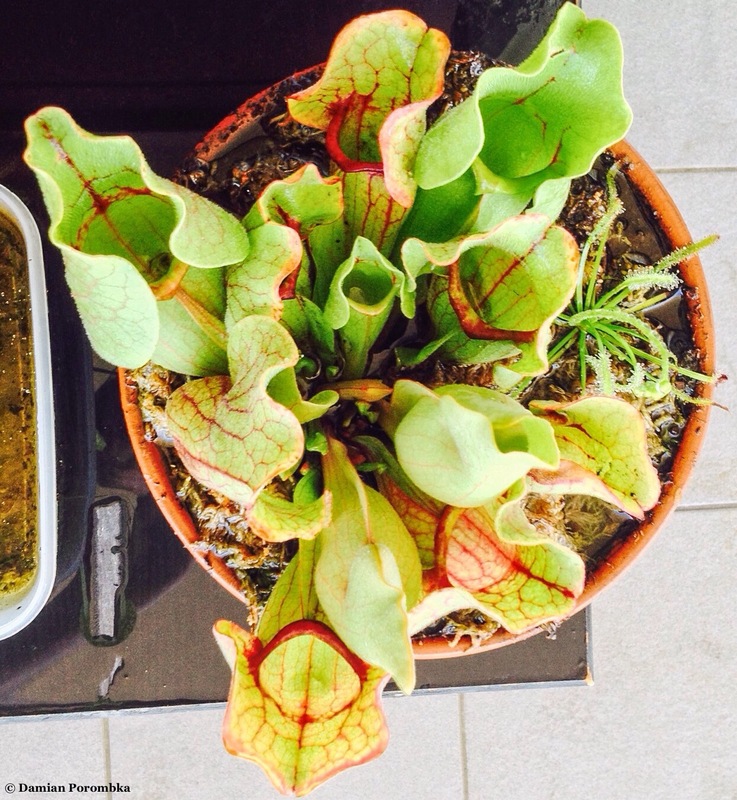 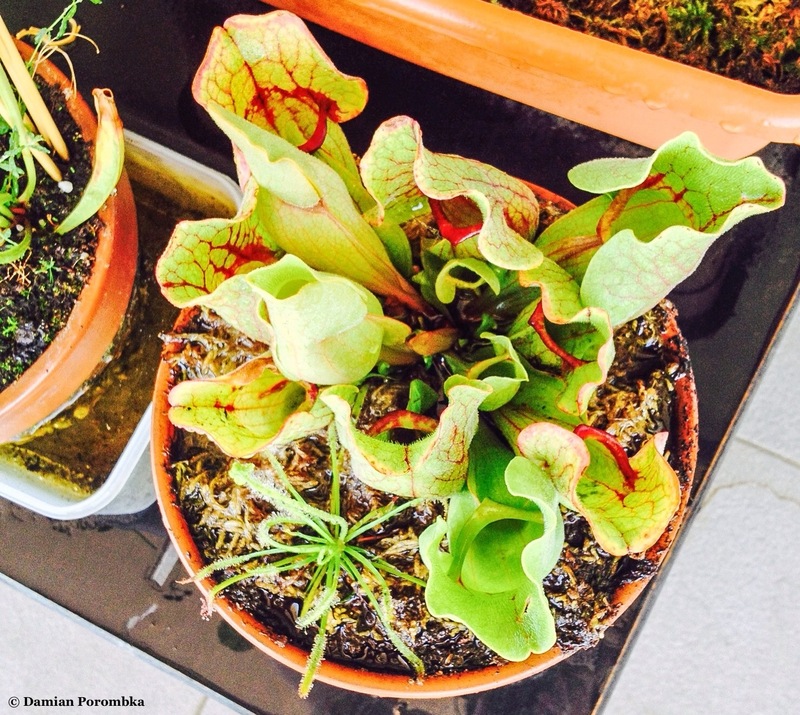 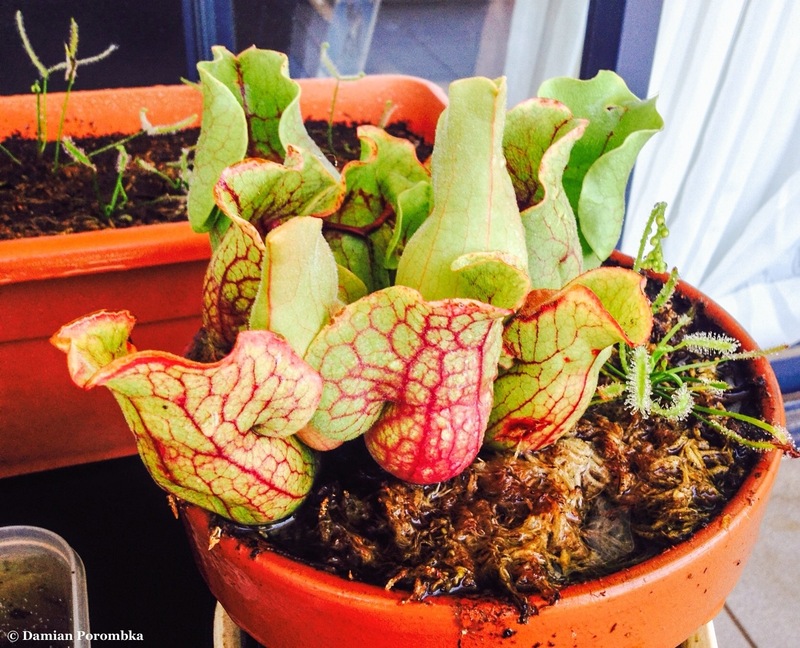 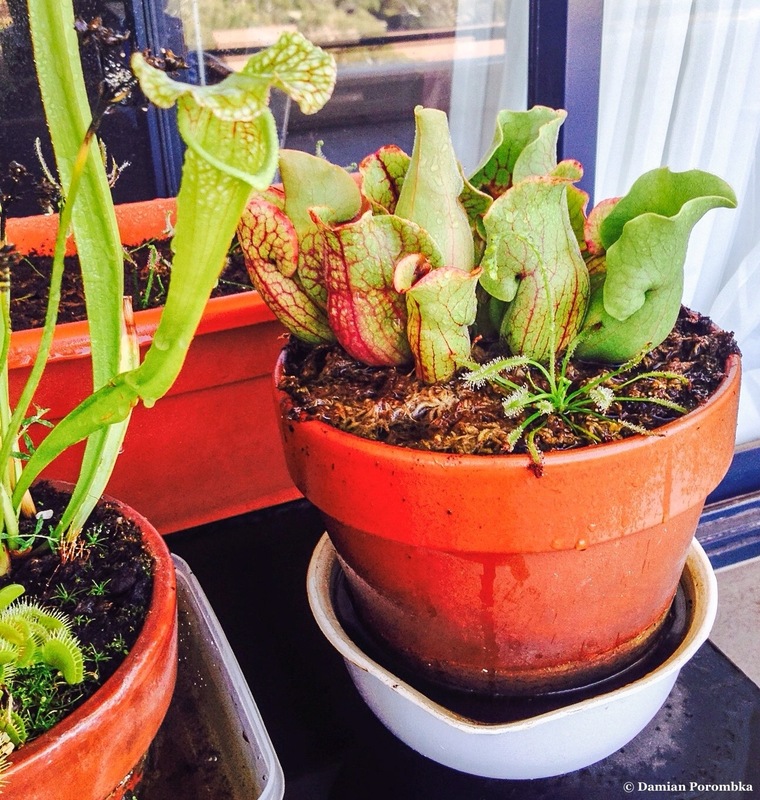 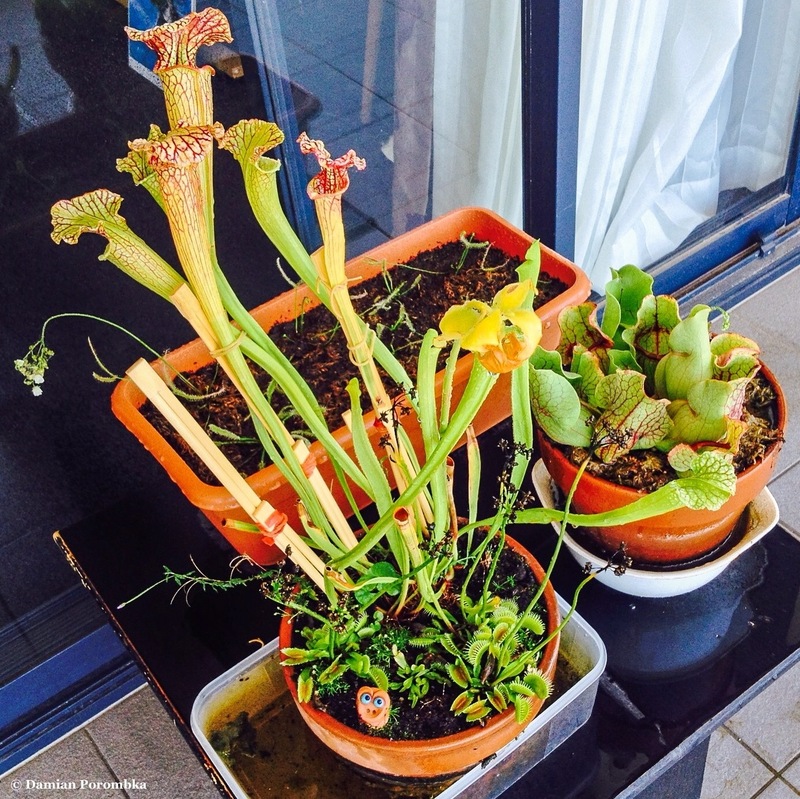 They are all carnivorous plants – the tall ones are pitcher plants, as are the shorter fatter looking ones. 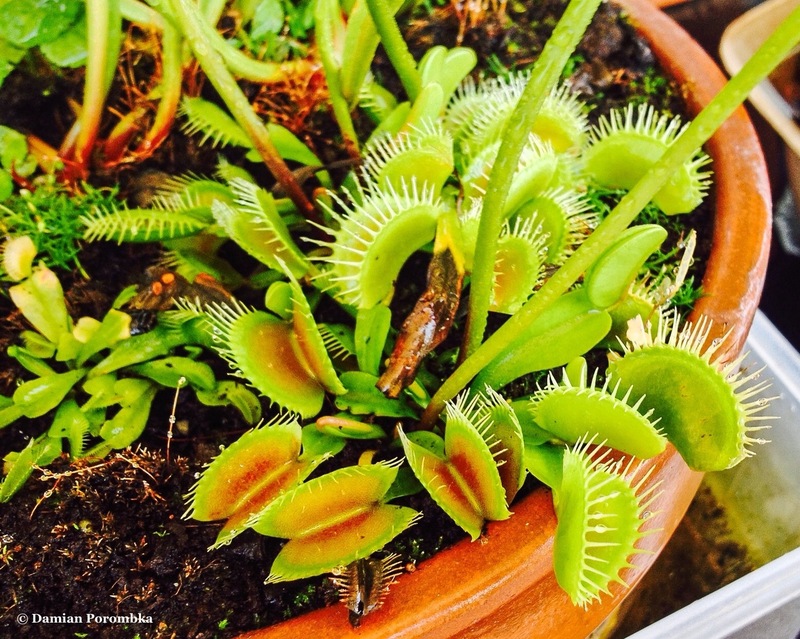 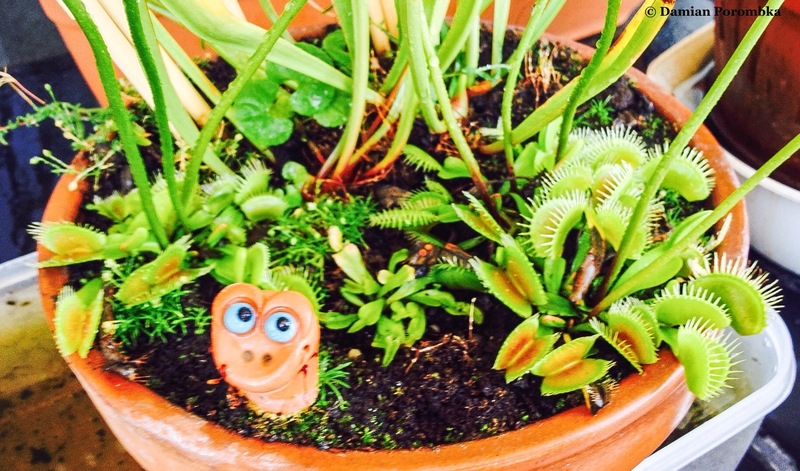 There are a couple of Venus Flytraps in the mix too. 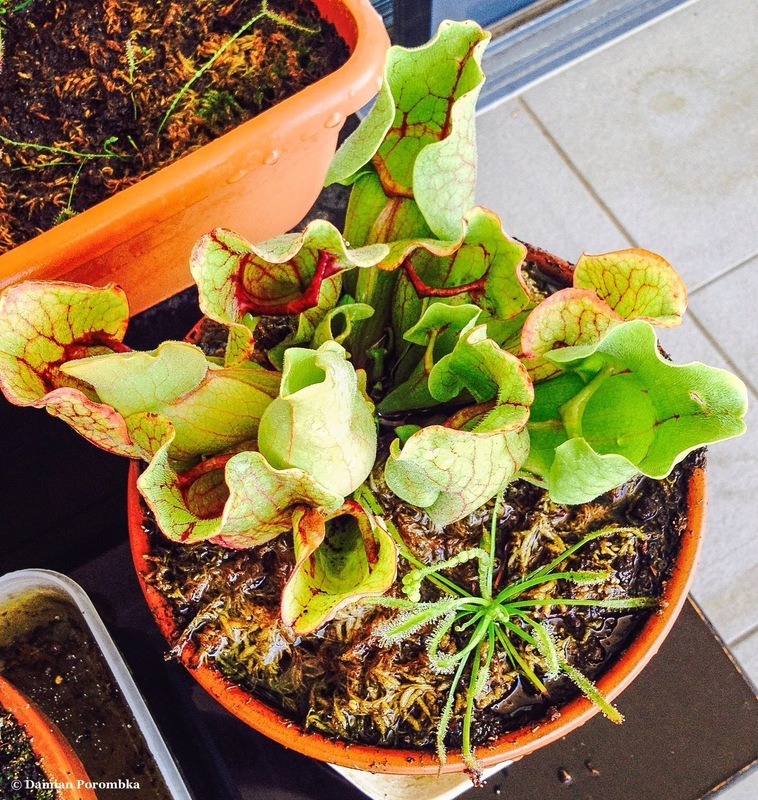 The sticky looking ones are Sundew plants, and they are terrific around a BBQ as they catch mosquitoes, etc.